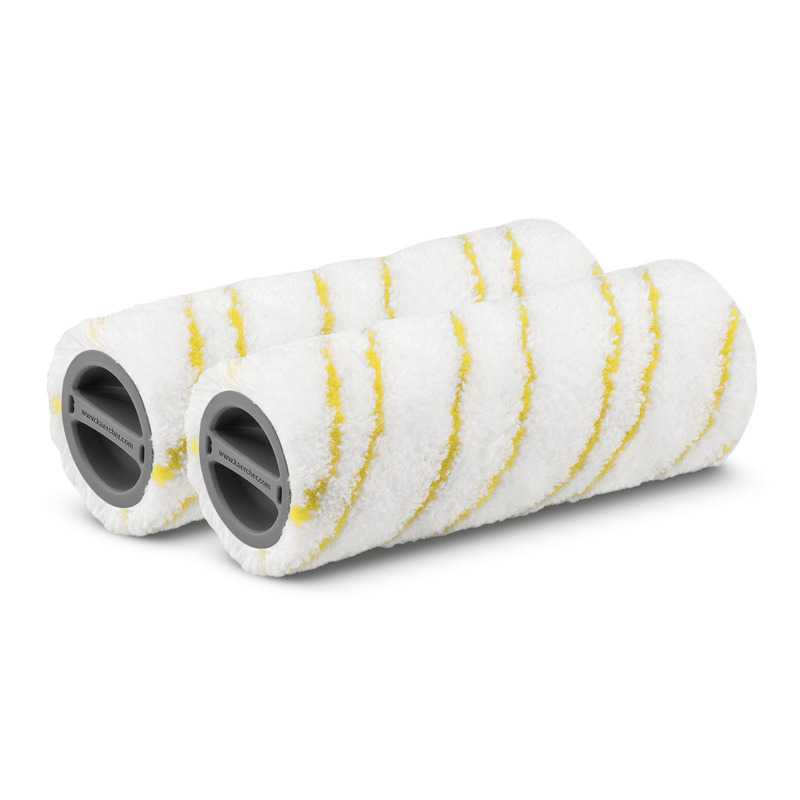 Multi-surface roller set, yellow 20550060 https://www.kaercher.com/ae/accessory/multi-surface-roller-set-yellow-20550060.html 2-part microfibre roller set for gentle wet cleaning and care of all hard floors. Lint-free, absorbent and hard-wearing. Suitable for machine washing up to 60 °C. 2-part microfibre roller set for gentle wet cleaning and care of all hard floors. Lint-free, absorbent and hard-wearing. Suitable for machine washing up to 60 °C. Cleanliness to the power of two: The 2-part microfibre roller set for the Kärcher FC 5 floor cleaner allows for gentle wet cleaning and maintenance of all hard floors – including parquet floors. The high-quality microfibre rollers are lint-free, powerful and extremely hard-wearing. The rollers can also be machine-washed at a max. temperature of 60 °C. The rollers are available in two colours: yellow and grey. The difference in colour means that these rollers can be used for different tasks – for example, one roller in the bathroom and one in the kitchen. Optimum dirt loosening and a high level of dirt pick-up for thorough cleaning results on all hard surfaces. Can be machine-washed up to 60 °C. Do not use any softeners. Hygienic work in various application areas (sanitary areas, kitchen, fittings, etc. ).